Imprint Energy is a company that was started by Christine Ho following her graduate studies at the University of California, Berkley. Collaborating with a researcher in Japan, Ho produced 3D printed zinc batteries. Now, her work has evolved. 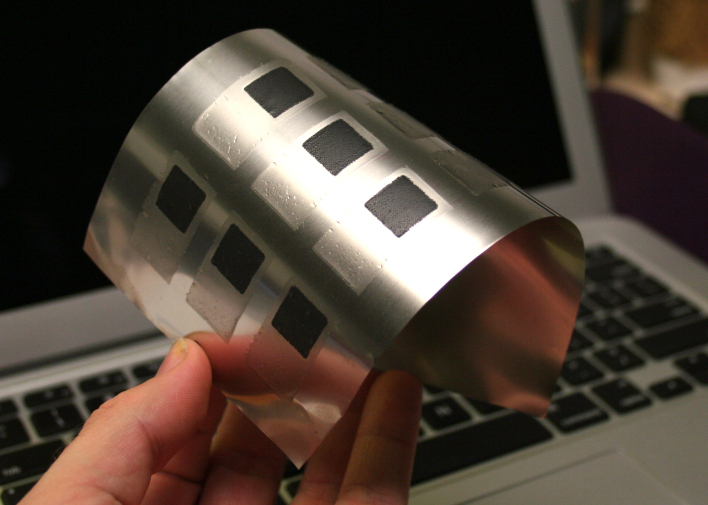 Her company, Imprint Energy, produces flexible printed zinc batteries. Unlike the design of previous and standard lithium batteries, Imprint Energy’s zinc batteries are safe, flexible, and smaller than the preceding design. Most typical batteries are made using lithium as the primary charging component. However, lithium is highly reactive and very unstable. Primarily, lithium is oxygen-sensitive. In order for workers to handle it safely, protective equipment is required. To adequately seal the reactive lithium requires many protective layers. The result is a rigid, bulky, and limiting battery design. While zinc has been used in batteries for years it was not possible to make zinc batteries rechargeable. In previous batteries, zinc was combined with a liquid electrolyte. Over time this combination produced dendrites, which are tiny fibers that grow and prevent the charging reaction from taking place. As a part of her graduate studies, Ho developed a solid polymer electrolyte that avoided dendrites. She combined this new polymer with zinc to create Imprint Energy’s battery. Because of zinc’s environmental stability, Imprint Energy’s batteries do not require heavy and rigid insulation. Additionally they are cheaper to manufacture and do not require workers to wear protective equipment. The main barrier to innovative technological design is the battery. Lithium-based batteries are made by coating materials onto foils. The foils are then assembled into cells. However, because they are so bulky it is almost impossible to create a sleek and flexible design. For example, the Nike FuelBand is a flexible activity tracker. 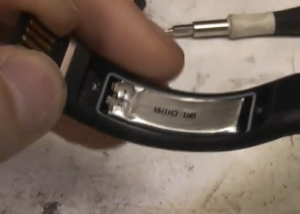 The FuelBand uses a curved lithium battery, however the battery compartment is the only part of the band that is not flexible. Imprint Energy’s batteries are created using a process similar to screen-printing. Because the zinc based batteries do not require heavy insulation, they can be formed into any desired shape, which allows for customized application. Additionally, Imprint Energy’s batteries are slim and flexible. Flexible batteries are in high demand, however there is no standard by which commercially available flexible batteries are tested. In order to test their battery’s flexibility, Imprint Energy developed it’s own testing rig and benchmark standard. They tested their own batteries against the commercially available ones and found that the commercial batteries failed after fewer than 1,000 bending cycles, whereas the Imprint Energy ones remained stable.